Retro is reassuring. A lot of us love to revisit childhood memories, hobbies or old television shows, but it turns out, research shows that there is a real science behind the human need for nostalgia. 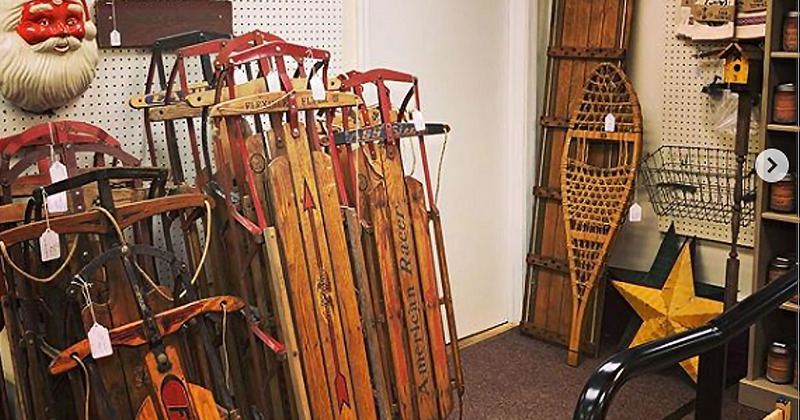 Take a trip back in time at Antique Allure in Southampton, PA.
Research has shown there is a key human need for nostalgia. Everything old is new again and retro is all the rage. There is definitely a comfort in nostalgia. What’s old is new again with marketers turning back time, tapping into those happy, fun memories. Every twenty years or so you see this certain wave of nostalgia marketing and it’s really fun to look back to a time when you think was a happy memory. Cutting edge style is just a modern twist on the tried and true. Think 70s patterns, 80s shoulder pads, 90s logo shirts. And it’s not just the look. It’s a whiff of history too. Remember Brut and Old Spice? They’re back and they’re sales are spiking according to the perfume industry. Even our entertainment is taking a U-turn. On television, retro reboots are taking a hold with a brand new season of old school hits. Even some tech is taking its own back to the future fast lane with brands like Nintendo bringing back the NES classic or Nokia resurrecting those old model phones. But the blast from the past is more than just a novelty. There’s real science behind our nostalgic instincts. Nostalgia helps regulate anxiety. When people engage in nostalgia it makes them feel reassured about themselves. It gives them some sense of confidence and so when you are feeling stressed or anxious or uncertain, nostalgia can be a good way to stabilize yourself or anchor yourself. Therefore, in uncertain times retro is reassuring. It’s a positive and healthy social pursuit to revisit cherished memories. But perhaps most notably looking back actually helps us push forward. Nostalgia is really more characterized by people reaching into the past and pulling it into the present. So if you are feeling stalled a ride down sentimental lane may be the real breakthrough you need to conquer the future. When you are thinking about a specific toy or item that made you feel happy, sometimes it’s a good idea to find that item and hold it and look at it and let it take you back to a happier time. When you do that you are allowing yourself to take away some anxiety or stress from your life and for a moment, just one small fleeting moment, you are taken back to a happier time in your life and it gives you reassurance that everything will be okay. If you are looking for that certain toy or piece of china from your grandmother’s house, you can own it again. Chances are, what you are looking for is right in front of you. Take a visit to an antique mall like Antique Allure and see what kind of stress-reducing nostalgia is waiting for you!